Iowa Dachshund Rescue View other Dachshunds for adoption. This sweet senior is Peanut. He weighs 16 pounds and is a Dachshund mix. Peanut is an easy going guy who does well with other dogs and cats. He enjoys toddling around his yard and following his people around the house. Peanut would like a home where his people are around quite a bit. His favorite spot is curled up beside his human. Peanut came to us from a small rural shelter in Missouri where he spent 4 months waiting for a way out. This little guy did not feel good, his teeth were in horrible shape and he couldn't eat dry dog food. Peanut got to our vet and got all checked out. His heart is strong and he is in good shape. We did a dental on Peanut and they pulled some rotten teeth. He feels a whole lot better now. Like many of us older folks Peanut's vision isn't 20/20 anymore. Since Peanut doesn't have a driver's license his vision doesn't bother him, he gets around just fine on his paws and doesn't need wheels. 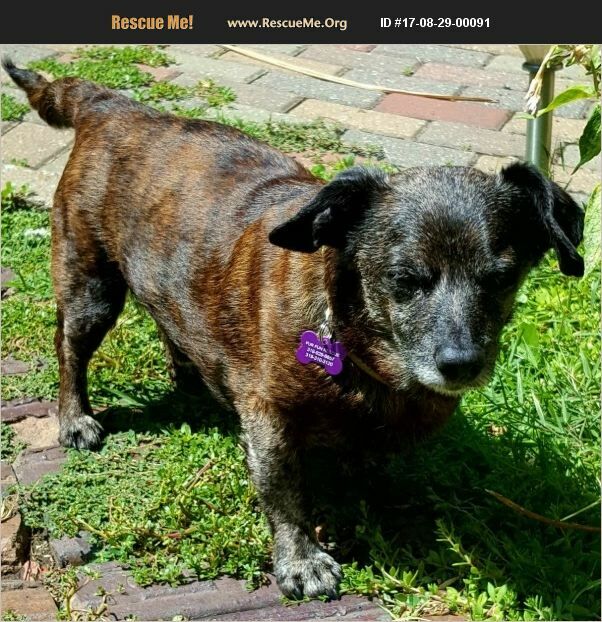 Peanut is housetrained, neutered, up to date on vaccinations, heartworm tested, and micro chipped.��%BD'��%BD��%BD If you would like to meet Peanut, please complete the adoption application on our website: www.furfunrescue.org. If you have questions about Peanut you can contact rox@furfunrescue.org or call 319-929-6657. Adopters within an hour of Cedar Rapids, Iowa only, please. Indoor homes only. Adoption donation $150.